There is no better way to explore the world than to have the freedom of moving at your own pace and having the flexibility to change your itinerary as you please. So we asked some experienced travellers to not only come up with the best road trips of the world, but to also let us in on why it should be added to your travel bucket list. This is the third part in our series of posts which will show you some of the most famous road trip locations around the world, the ones you will most likely already have seen or heard about, but some other suggestions are sure to surprise. They sure surprised us. Now let’s finish packing the car (or Campervan) and get this show on the road. We begin with a road trip that is high on our bucket list and has every reason to rate so highly. Baja, Mexico with Alejandro from Visit Copper Canyon. One of the most stunning road trips you can do in Mexico is in the state of Baja California Sur. Start the trip in La Paz, the state capitol. 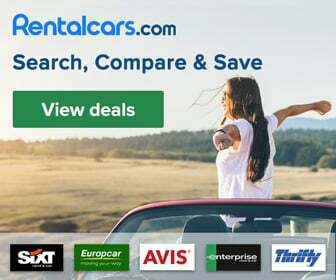 Here you can rent a car and stock up on goods for the trip, but before you head out it’s definitely worth checking out some nearby activities. There’s the pristine Playa Balandra, a beach protected by the government, or you can book a snorkel or diving tour to Isla del Espiritu Santo where you can swim with whale sharks and seal lions! From La Paz you’ll head north through the desert. Be sure to keep an eye out for the giant Mexican cactus, the Cardón, which can grow up to 18 m high and 1 m in diameter. After a few hours of driving you’ll find yourself winding along the coast where desert meets sea and the contrasting colours are fantastic. Spend a night in Loreto, home to the Parque Nacional Bahía de Loreto, where you can do some more snorkeling or diving. Continuing further north you may want to spend a few nights in the town of Mulegé so you can enjoy the nearby and very secluded beaches. Finally you’ll want to head up to San Ignacio where you can book a trek to see some 7000 year old cave paintings before heading back to La Paz. Authentic Mexico without the tourist crowds. The home of fish tacos. Loneliest Road, USA with Hayley and Scott from International Hot Dish. When you think about road trips you often think about roadside attractions, goofy tourist traps, luggage loaded on the top of the car, and drive-ins. I’ve been on a lot of those road trips and they’re memorable and liberating to be on. But they’re not always my thing. All that said, my favorite stretch of highway for a different kind of road trip is through Nevada, USA, on The Loneliest Road in America – otherwise known as the Lincoln Highway, U.S. Route 50. It starts on one Nevada border and ends at the other. It stretches just over 400 miles (644km) and is undoubtedly lonely, which is a good thing! On our way through U.S. 50, my friend and I had a lot of free time to speculate about life’s questions, tell jokes, think, and soak in the gorgeous, desolate views of the barren Nevada. This highway is literally the one you would take one of those artsy, empty highway in the desert pictures. U.S. 50 is one of those places not crammed with department stores, billboards, cell phone towers (reception here is nil), and traffic. You can really get away from civilization and clear your mind here. North Coast 500, Scotland with Natasha from The World Pursuit. One of the most amazing road trips in the world is the North Coast 500. The North Coast 500 is 500 miles of stunning scenery through the Scottish Highlands. The route usually starts in Inverness or Applecross and goes all the way around. Along the route, you’ll find stunning and dramatic cliffs, beautiful beaches, plenty of sheep, and a decent amount of distilleries to enjoy Scottish whisky. I never knew how beautiful Scotland was until I embarked on this trip, and I believe that’s what made it so special. The highlands is one of the most surreal places I have ever been. The start points are easily accessible from Edinburgh , where many people fly in and out of Scotland. The trip is completely doable in seven days however I would recommend 10 to immerse yourself completely. Slovenia with Alex from Size Jinx in One. There are many adventures to be had out there and one of the most different and enticing is located in a small country that sits in Central Europe, Slovenia. With its thick green forests, the snow-capped Alps, everything within close proximity, it’s hard to resist. Day one, Kranjska Gora. Here you have Slovenia’s largest alpine ski resort, go ski. Day 2 you’ll arrive in Bled, here you can find an iconic church located on a glacial lake and the Triglav National Park. Day 3 is Soča and this place is just awesome, and you’ll easily get your fix of adrenaline here. Bovec on the 4th day. Rafting, canyoning, kayaking, zip lining hiking, don’t forget to take a break in-between. On day 5 you’ll experience Postonja Caves – with its awesome rich colourful rock formation, along with a chandelier as you enter the cave, it’ll be one to remember. Day 6, Škocjan Caves, with Limestone pools and stalactite formations, you’ll be amazed. You’ll make it to the capital on day 7, Ljubljana. With its enchanting cobbled streets, this town features old bridges, along with 19th-century buildings that survived the earthquake of 1895. Postonja caves – with its awesome rich colourful rock formation. Bovec. Rafting, canyoning, kayaking, zip lining, hiking. Perfect for the adrenaline folks out there. Lake Bled, this place is impressive and . with mountain scenery surrounded by forests, a little island sits in the middle of the lake with a small church. Northern Thailand with Melissa from Thailand Hill Tribe Holidays. This 600km road trip which starts and ends in Chiang Mai, travels through the most mountainous and forested province in Thailand. It offers some of the best scenery and authentic culture in the country. Day 1) From Chiang Mai take the 1095 route to Pai (approximately 130km). There are some tight and steep curves, as the road traverses through the mountains before arriving at the idyllic valley town of Pai. Day 2) Spend the day enjoying the sights of Pai such as; Pai Canyon, hot springs, and the night market. From Pai head west on the 1095 road to Mae Hong Son, which passes through Soppong. The road is windy, with sweeping mountain landscapes and steeped in lush forests. Day 3) Spend the day enjoying the sights and soaking up the Shan (ethnic minority) culture of Mae Hong Son town. The main attractions here are Jong Kham Lake and Doi Gong Mu temple. Day 4) From Mae Hong Son town take the 1095 road north (for approximately 10km) to the Chinese village of Mae Aw by the Myanmar border, and then to Ban Ruam Thai village. Day 5) Head back to Mae Hong Son and take the 108 road south to Mae Sariang (approximately 164km). The half-way point on this leg is the quiet backwater town of Khun Yuam. Day 6) Spend the day enjoying the quaint backwater town of Mae Sariang by the Yuam river. Go on a trek or take a boat trip down the mighty Salawin river on the Myanmar border. Day 7) From Mae Sariang take the 108 road east back to Chiang Mai. Enjoy the final leg and last of the mountainous scenery. After the half-way point at the town of Hod, it’s straight highway all the way back to Chiang Mai. Switzerland with Arzo from Arzo Travels. Road trips in Switzerland are different. They are epic, they are amazing! A 7-day road trip in Switzerland can be the most amazing road trip of your life! Each year in summer I travel to Switzerland by car – the first year it was out of necessity and now it is of pure joy. If you plan a road trip in Switzerland you must know….You will want to stop everywhere because there is just an extremely beautiful scenery, so keep your camera close and plan in some time for extra breaks. Switzerland is small so you might be able to see quite a lot in 7 days – however, there is not one fixed route but many smaller ones which are also called the Grand Tour of Switzerland, but make sure to add the routes I mention below when doing a Switzerland road tripping (p.s. try to avoid motorways and use the smaller country roads instead). Even with stops, you will be able doing each of the tour within a few hours, but some of the routes are in the mountains so drive carefully! It is Switzerland, so no rush! Jordan with Kekti from Dotted Globe. Jordan is the one cultural road-trip that every traveler needs to take in. The ideal itinerary for a Jordanian road trip starts in Amman, where car rentals are easy to find. From Amman head over to Petra via Kings Highway, a charming road as old as the hills themselves. Make a couple of stops along King’s Highway at Madaba, Mt. Nebo and Karak. At Madaba you will see the oldest surviving map of the Holy Land and Mt. Nebo is where Moses had his first view of the Promised Land. Karak’s Crusader Castle is the largest in Jordan and magnificent. Karak is also a great place to try some mansaf, Jordan’s national dish. King’s Highway then passes through the beautiful Wadi Mujib and winds down in Petra. Petra, one of the World’s 7 Wonders, is the reason most people visit Jordan. Keep a day or two to explore and hike the incredible sights of Petra. After you have had your fill of Petra, continue along King’s Highway to Wadi Rum. Wadi Rum is a surreal red rock desert landscape that offers camping, rock climbing and dune bashing opportunities. From Wadi Rum, drive on to Aqaba for snorkeling and diving in the Red Sea. Then continue on the Dead Sea Highway to take in a Dead Sea mud bath and float on the highly saline waters. Your last stop before returning to Amman at Jerash. At Jerash you will find some of the most well-preserved Roman ruins outside of Europe. Northern Germany with Cate from International Desserts Blog. If you’re planning a road trip in Germany, go north! Northern Germany has a distinct look and feel that’s different from other parts of the country, especially touristy Bavaria. On this road trip you’ll encounter beaches, thatch-roof cottages, cobblestoned streets, a fairytale castle, and some of the best food in the country. Definitely try a Fischbrötchen and Rote Grütze for dessert! Start your road trip in the beautiful and bustling hansiatic city of Hamburg . I highly recommend spending at least a day touring the city. Then drive north to the beachside town of Sankt Peter Ording, where you can spend a couple hours (or even an entire day) relaxing at a seaside spa. Continue driving north a couple more hours and you’ll arrive on the beautiful island of Sylt (to reach the island you’ll board a 40-minute car train). I recommend two days on Sylt – one for relaxing on the beach and one for biking around the island or windsurfing. When you’ve had enough of the beach and Frisian-style thatch-roofed houses of Sylt, make your way to the city of Lübeck. Spend a day visiting the 12th century Rathaus (town hall), the brick gothic Marienkirche, and the restored Lubeck Cathedral. If you want to compare North Sea beaches with Baltic sea beaches, make a day trip out to Timmendorfer Strand. Finally, drive south to Schwerin, a city surrounded by lakes, to spend a day visiting the stunning Schwerin castle and gardens. Rent a bike and ride it around the island of Sylt. Visit the fairytale Schwerin castle. Spend the day at beaches on both the North Sea and the Baltic Sea. Lakes Region, Italy with Katy from Untold Morsels. Discover the spectacular Italian lakes on this classic drive bounded by soaring mountains and shimmering water. This road trip covers 200 kilometres and three of the most beautiful lakes in Europe. Start in Bellagio on the shores of Lake Como. The sunsets here are incredible and best watched over a plate of pasta at one of the many restaurants facing the lake. From Bellagio, take the car ferry to Varenna and then follow the lake road to Tremezzo where you can visit beautiful Villa Carlotta. Continue on to the city of Como and marvel at the Cathedral and take a promenade along the lake with a gelato. The next stop on your road trip is Lake Maggiore at the base of the southern Alps. You could detour here and drive over the border to Switzerland to the town of Locarno but you must make a stop at Stresa. Here take a cable car to Mottarone 1491 metres above sea level. Your journey ends at Lake Orta where the mystical island of Isola San Giulo rises out of the water. You could take 3-4 days to do this but if you can, spend at least a week in the Italian lakes and soak up the beauty of this classic Italian region. Iceland with Donovan from Travel Voila. We were very fortunate to travel to Iceland this summer. Because during our trip, we saw Aurora on a September! And it is one of the strongest Aurora in the past decade. Due to constraints, we can only do the Ring Road drive in 7 Days and this is the bare minimum number of days to do the drive. Because you will be covering approximate 1500+ km drive in 7 days. The Ring Road (Route 1) is 1300+ km. For the 7 days, we drove like 1900+ km! And we did not really have a hectic schedule. We left the accommodation at 11am and reach the next stay no later than 9 pm. Despite the short duration, we have done many activities like Whale Watching, Chased Aurora for 3 Nights, covered several waterfalls and done 2 hot spring soaking in Blue Lagoon and Myvatn Nature Bath. In Iceland, travellers usually will arrive at their International Airport at Keflavik. You can rent your car and pick them up near the airport and your road trip begins. We decided to take the clockwise route because we wanted to have more time to enjoy at later part of the 7 days as there are a lot more attractions in the South Iceland. Certainly, our top road trip adventure for the year! Iceland is currently and still undergoing major development to cater to the overwhelming tourist visits. Be sure to do your driving to Iceland before they get too commercialized. Want more great options for amazing road trips of the world? Have you seen Part One?